Older homes have certain charms, such as thick molding, high ceilings, plank floors, hand craftsmanship and oftentimes curb appeal. Generally, if maintained, older homes were built to last. 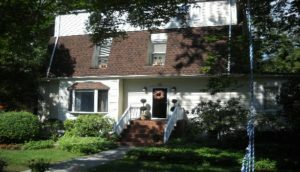 When purchasing an older home, you must keep in mind that despite all the wonderful charms, older houses may have some issues that are not always easily revealed. Many of these issues highlight the need for vintage home inspections. 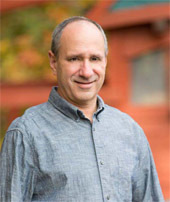 When performing vintage home inspections, Jersey Strong Home Inspection takes a closer look at your prospective home with your interest in mind. 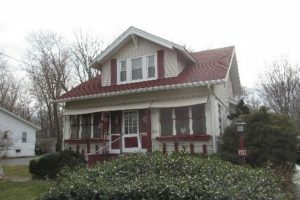 Many older homes in Monmouth County and throughout NJ (those close to or over 100 years old) have been cosmetically re-finished and may have some hidden concerns. These include but not limited to the foundation, exterior walls, interior walls, plumbing, electrical systems, heating, wood destroying insects, and so on. 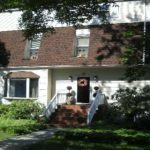 Should you consider purchasing an older home, it is extremely important that you work with a knowledgeable home inspection service. 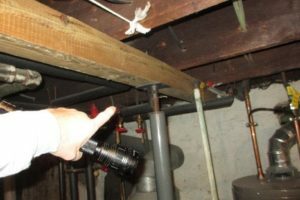 Below are just a few examples of issues that we have come across on various old home inspections. 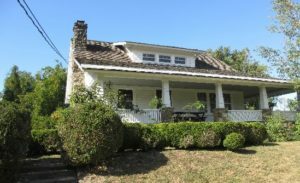 Many vintage homes have had some form of settlement and in some cases, have been corrected. We look at the foundation and general support to detect any defects. Some of these include improper bracing or temporary floor jacks. This can cause cracks in the foundation, and flooring. Thus creating some addition unforeseen expense after you move in. Oftentimes, older furnaces were kept alive and not removed in older homes due to their size and weight. 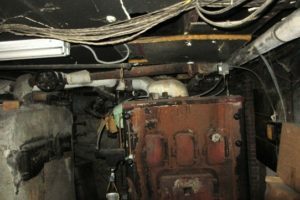 As pictured below, this older hot water boiler systems had pipes wrapped in asbestos as a form of insulation. Asbestos can be extremely dangerous to one’s health to remove, and should be handled only by a licensed company that works with asbestos. Another area that is a common concern on older homes is the electrical system. These can consist of several issue that can affect the home’s safety. 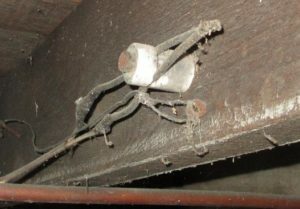 Although many of these practices of wiring were used for 70+ years ago and functioned, they are no longer considered safe by today’s standards. Knob and tube for example were very common in old homes. Most homeowners that had knob and tube, have taken them out completely and upgraded to a circuit breaker system, or still have them in place but not functioning. One should proceed with extreme caution as once in awhile we still find live wiring with knob and tube. These can be extremely dangerous if you come into contact with the wiring. They can cause severe electrical shock and extreme injury. Buying an older home is not for the faint of heart. 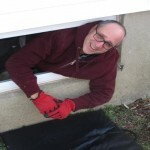 The key is knowing what you might be getting into and planning for the unexpected repairs. These types of homes may take years to repair and upgrade. The challenge can be rewarding or frustrating. The benefit of a good home inspection will provide you with the required knowledge to make your decision.